People often ask how coaching differs from mentoring and counselling. Here’s CIAO’s take on this. 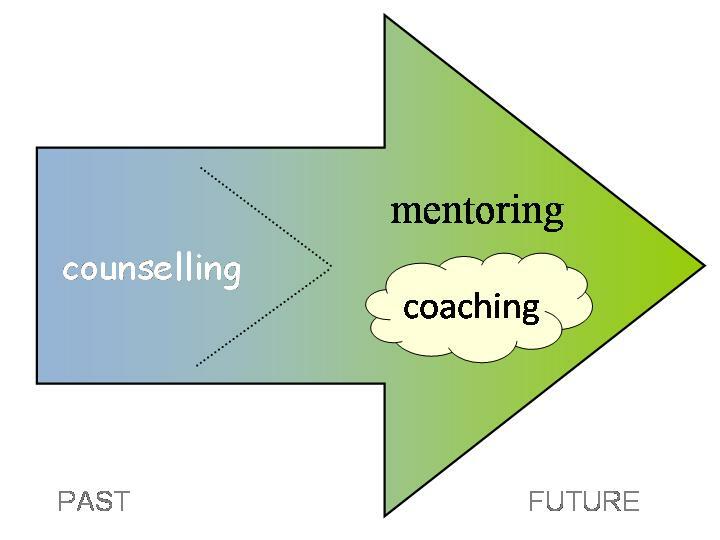 Coaching and mentoring look to the future, whilst counselling looks more to the past. However, there’s no solid division. CIAO coaches help clients work out their own answers and do not act as mentors. Mentors often offer advice and can use coaching techniques whilst also offering more practical solutions and sharing their own views or ideas. This is why coaching is shown as a field within mentoring. Coaching itself is often described as Executive Coaching (around work) or Life Coaching (around everything else) but most people discuss both work and home regardless. CIAO does not advise, direct, suggest solutions, provide answers, share experiences or advocate on behalf of its clients. Holding this tension means our coaches can help people realise their own potential. Here’s a sheet to consider which approach may best help. Many of CIAO’s coaches are also qualified counsellors and mentors, and we believe the different approaches all have their uses.